We wrote to the BBC to ask if Pudsey would consider visiting us here in Billingham and Port Clarence on Children in Need Day. Well you can imagine our surprise when they said a big loud ‘Yes’. It was helped of course as some of our local children took part in this year’s Children in Need song from Tees Valley Music Academy and there was also going to be a huge party on Stockton High Street and an even bigger party at Falck Safety Services with the Billingham Legacy Foundations ‘Titanic Evening’. 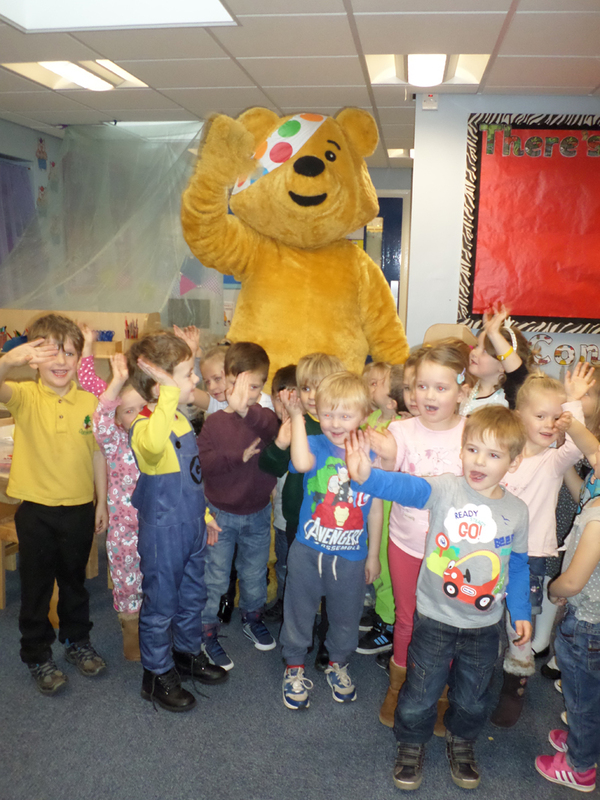 Pudsey had time to visit Oakdene Primary School, New Life Family Centre and High Clarence Primary School in Port Clarence. 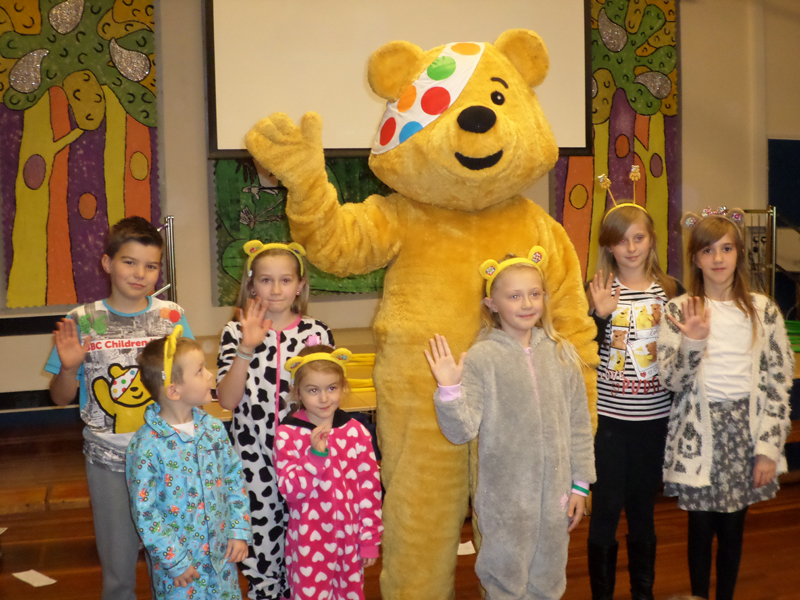 Although Pudsey was initially shy and scared about meeting so many new people in one day, the winning smiles of children and adults soon made him feel welcome in our community. Final figures are still being collated at time of going to print and some pledges still need to be paid but we anticipate over £3000 was raised on the day. Well done to everyone involved and thank you for making Pudsey feel so welcome.